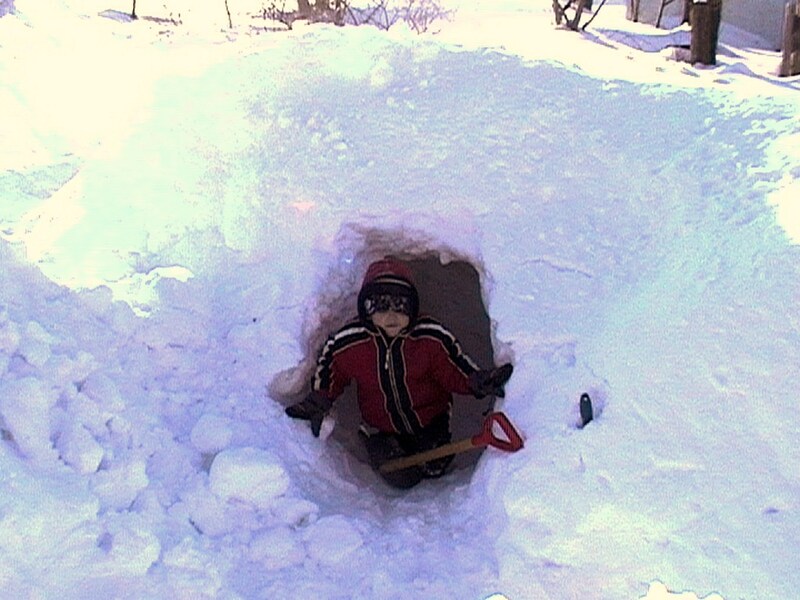 Every year we build a quincy – a snow cave – in our front yard. We wait until there’s a good pile of snow on the ground, then Josh runs the snowblower in a circle a few times and blows the snow into a big pile. We dig out a cave when the pile of snow settles a little. Here’s a few snapshots of our snow caves over the years. This will be our 5th cave I believe! 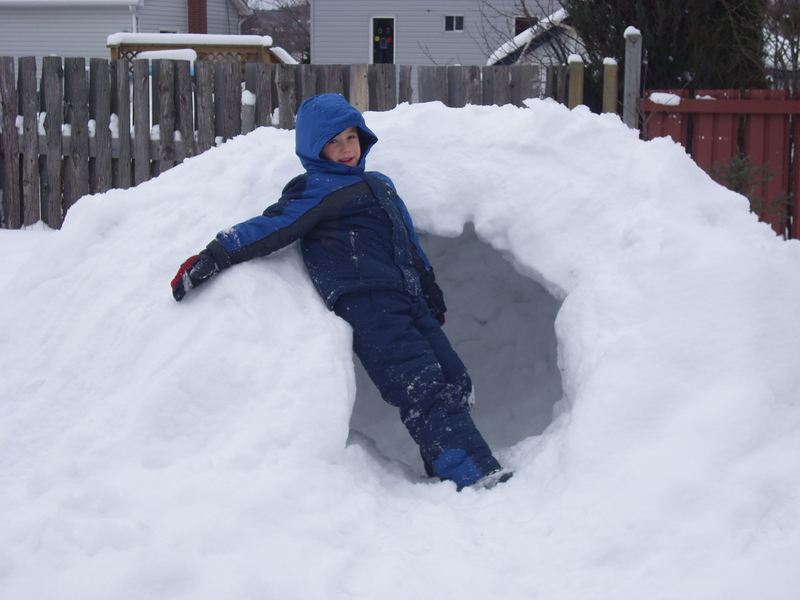 Winter 2005-2006: Josiah has just finished watching Aladdin and he wants to call this the Cave of Wonders. We put a milk crate in later and we can store treasures in there. 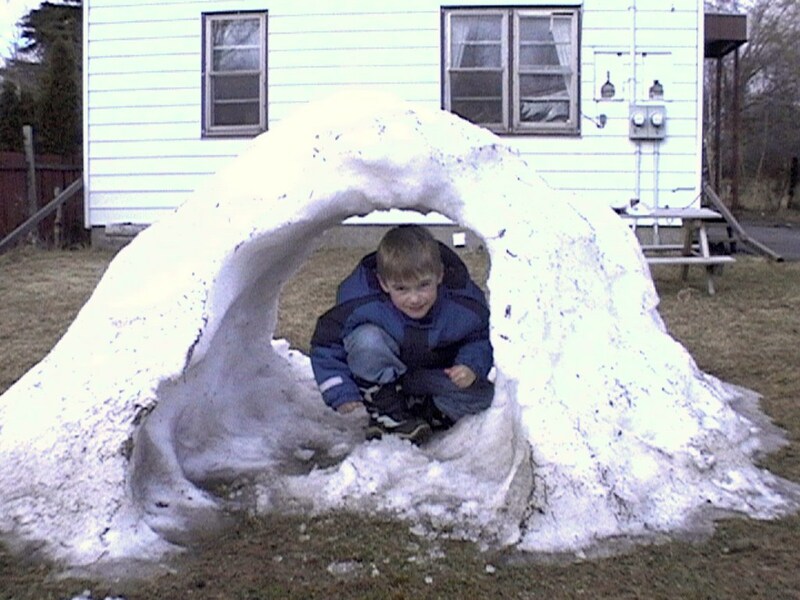 Winter 2006 – 2007: I don’t think there was a snow cave this year. I don’t think there was very much snow. Forgive me if I’m wrong, but I do remember feeding the ducks on Christmas Eve one year – it must have been this year. A green Christmas and not much white the rest of the winter either! Winter 2007 – 2008: We forgot to take a picture of our snow cave until it was almost melted away! 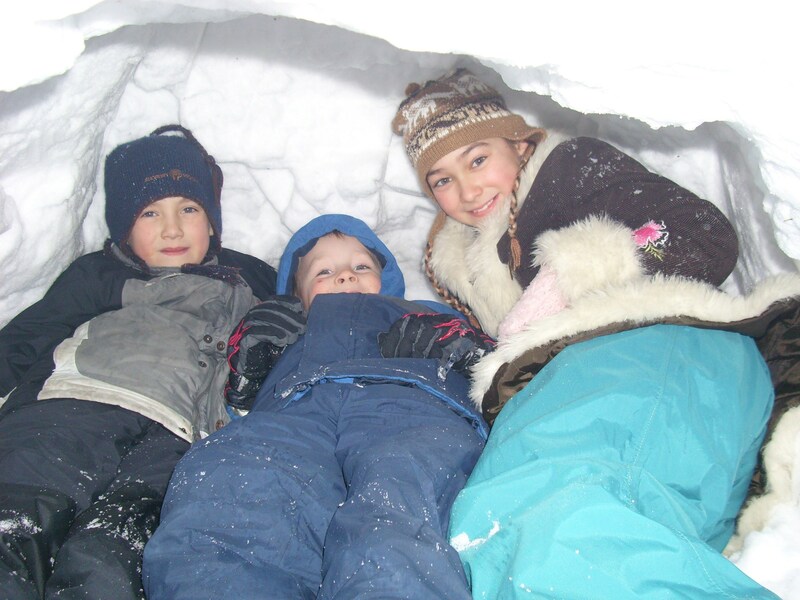 Winter 2008-2009: The snow cave was a great one! Good times had by all! 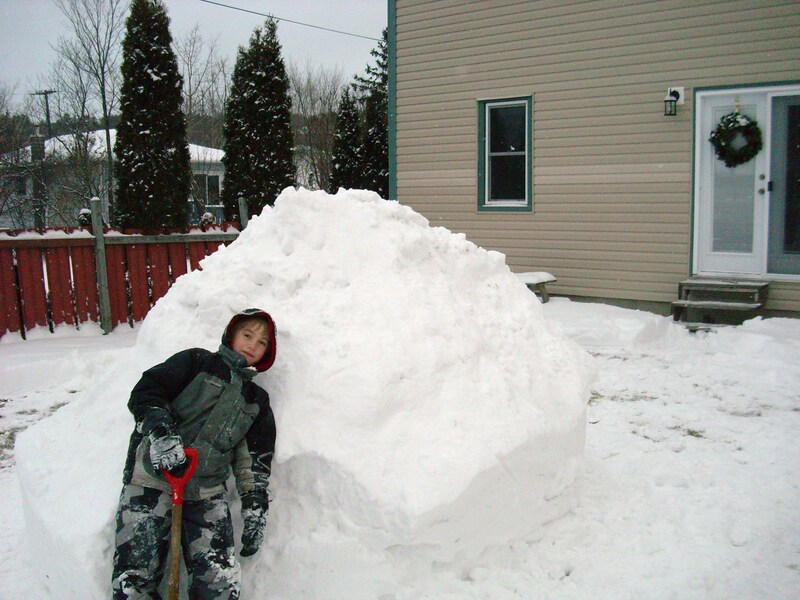 Winter 2009 – 2010: The snow cave was AWESOME – it lasted forever and we finally had to break it apart with shovels in the spring. Winter 2010 – 2011: And now we come to the beginnings of our snow cave for this year! It looks a bit small still (or is it just that Josiah is getting bigger?!) and we haven’t dug out the cave yet. But it’s a good start!